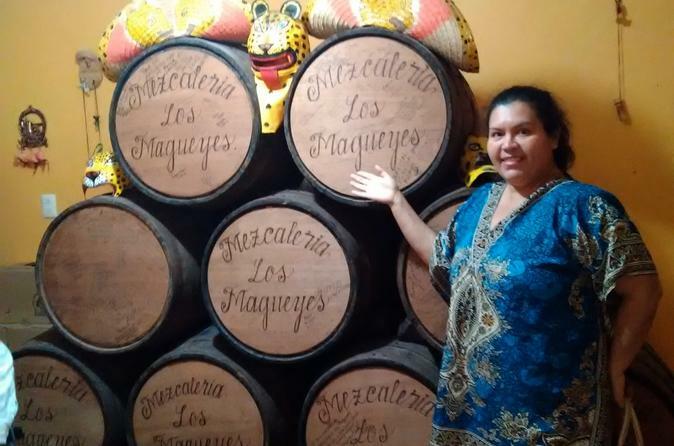 Live the incredible experience of learning the process of the mezcal making when you visit a distillery in Amojileca. The Mezcal from Guerrero state is an exceptional 100% Agave Mezcal produced in the highlands of Guerrero State by a family-owned distillery that has been around for several generations.You'll also enjoy a traditional lunch while tasting the different types of Mezcal and stop at the town of Chilpancingo. Your tour includes transport and a professional guide. Your tour begins with hotel or port pickup early in the morning as you board a vehicle and head to Chilpancingo, the capital of Guerrero State. Here, you'll enjoy a walking tour in downtown to see the locals hospitality, the church and the museum (entrance not included). After the downtown visit, you`ll head to Amojileca, located in the mountain where you'll have a tour around the mezcal distillery. The tour will take on a journey to the past, showing you the Mezcal which is elaborated in the old fashion way. You'll have a chance to taste the different types of mezcal and then enjoy a traditional lunch including Pozole (hominy soup), sopes (Mexican pizzas) and jamaica flavored water. Finally, see a dance show and have some time to relax or go horseback riding (optional). Then, you'll head back to Acapulco and your hotel or port.